Price Armstrong is representing users of the Lash Boost Serum™ made by Rodan + Fields. This product contains a chemical that is known to cause a wide range of potentially serious side effects, including eye discoloration, pain and loss of eyelashes. Rodan + Fields has marketed and sold Lash Boost to hundreds of thousands of people, and we are preparing to file cases across the nation. Price Armstrong is representing owners of 2008 through 2010 Harley-Davidson Touring and CVO Touring motorcycles. 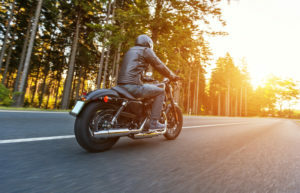 Those motorcycles contain a faulty wheel speed sensor wiring harness that can fail without warning to the rider, disabling the motorcycle’s anti-lock braking system, and potentially causing a serious injury or death. Price Armstrong is representing veterans who experience hearing loss or tinnitus due to the 3M Combat Arms Earplug. 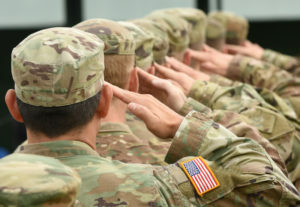 A recent settlement in a False Claims Act case has brought to light that 3M Company knowingly sold defective and dangerous earplugs to the United States Military for use by servicemembers. Price Armstrong is a focused, specialized law firm with a history of excellence in complex litigation. Our attorneys have represented individuals and small businesses in class actions, investor fraud lawsuits, and drug and medical device lawsuits in more than 50 venues across the U.S. We’ve also represented whistleblowers in variety of qui tam litigation, advocating for individuals willing to expose fraud perpetrated against the federal government in the Medicare, shipping, and environmental sectors. From offices in Alabama, Georgia and Florida, our attorneys have successfully represented class action plaintiffs and whistleblowers across the United State in cases against the largest corporations, recovering hundreds of millions of dollars. Price Armstrong is designed from the ground up to out-litigate the largest defense firms in the most complex cases. Our expertise and resources—combined with a singular focus and agility of a dedicated team with backgrounds working for the other side—ensure that we consistently achieve superior results for our clients. "Having litigated against Oscar Price and Nick Armstrong in courtrooms across the country, I know them to be excellent lawyers and adversaries. They put significant thought into pre-filing strategy and come to their cases with as much or more knowledge of the facts than the businesses they pursue. Their written work and courtroom advocacy is among the best in the country, and as the litigation progresses, you will soon feel like you are litigating against a large law firm with unlimited resources. If you see Price Armstrong LLC on the initial pleadings, bring your best because hard work lies ahead." "Price Armstrong did an excellent job representing us in a complex class action. There were a dozen big firm lawyers on the other side, but Oscar [Price] and his team beat them at every turn. I don’t think any other attorneys could have gotten the settlement they achieved for us." "I am a partner in a large firm who regularly represents large corporate clients in complex class actions around the country. Our firm has been adverse to Price Armstrong in a number of these litigations. They have earned our respect as very good lawyers who understand the issues and are skilled at implementing strategies to maximize the pressures on corporate defendants. I remain amazed at their ability as a smaller firm to match the volume and quality of work associated with larger firms like ours. We can never outwork the lawyers at Price Armstrong — they are always in it for the long run. I think they do their clients, and our profession, a great service." "It was a miserable experience and I’m grateful it’s over." "I struggled to decide what lawyer to talk to when I felt I needed to report medicare fraud where I work, but I’m glad I chose Price Armstrong. They were there for me throughout the process and I certainly appreciated their expertise. Thanks for the hard work and the excellent result." If you have been harmed by a defective product, a financial institution or other business, contact the attorneys at Price Armstrong. We can help you seek justice and protect your rights throughout the process. Call us today at (205) 208-9588 for a free initial consultation and review of your case. Let us fight for you – call now!